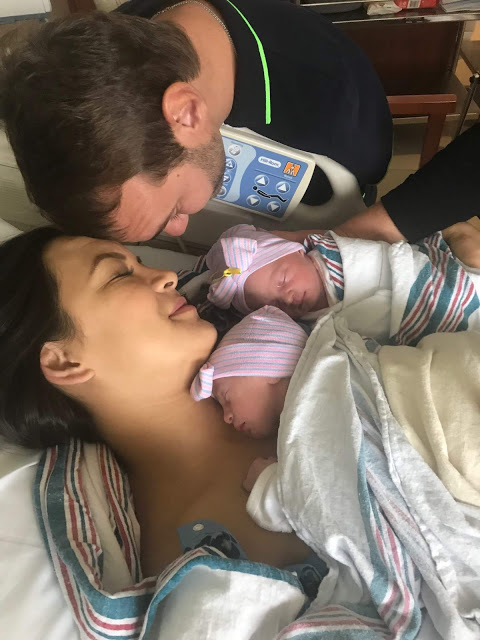 Nick Vujicic, known throughout the world as the "limbless evangelist," has announced his wife has given birth to twin girls just ahead of Christmas. "Thank you all for your love and prayers! 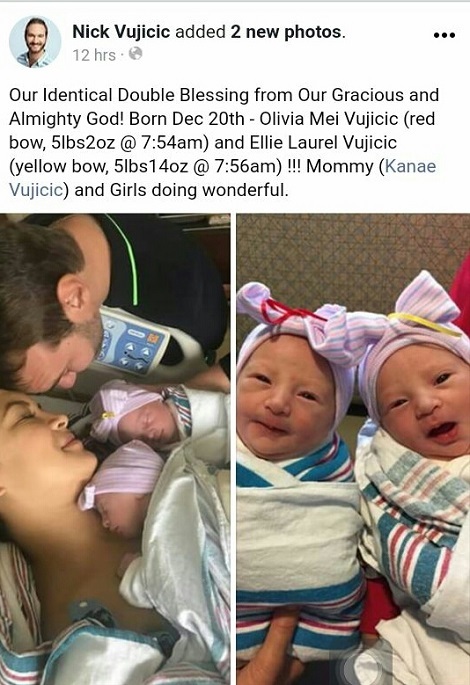 Babies Olivia and Ellie were born on Mommy's Birthday, 5 pounds 2 ounces and 5 pounds 14 ounces. Mommy is well and so are the girls. Thank You God!" the author and evangelist posted on his Facebook page.